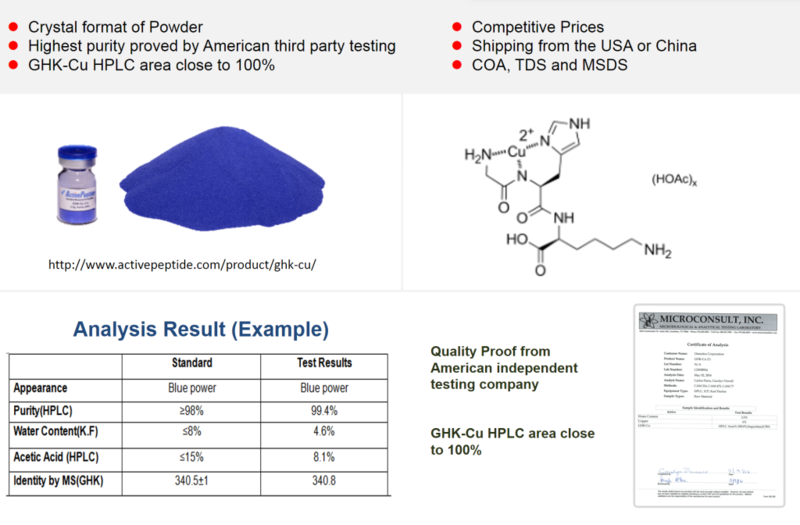 Our Copper Peptide has the highest quality in the world! Dr Loren Pickart, an inventor of copper peptides and world-renowned biochemist, has been our VIP kilogram customer. 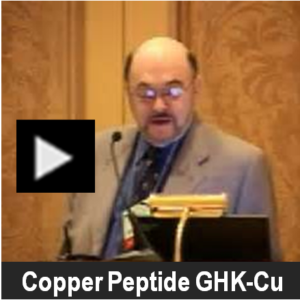 “If you want pure copper peptides, go to activepeptide.com”, he says. Scroll down for product details. Contact us for COA, MSDS, TDS and product presentation. 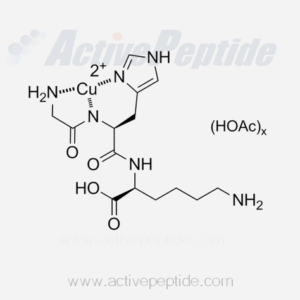 GHK-Cu (Copper Peptide). Purity >98%. Cat No. AP103002. 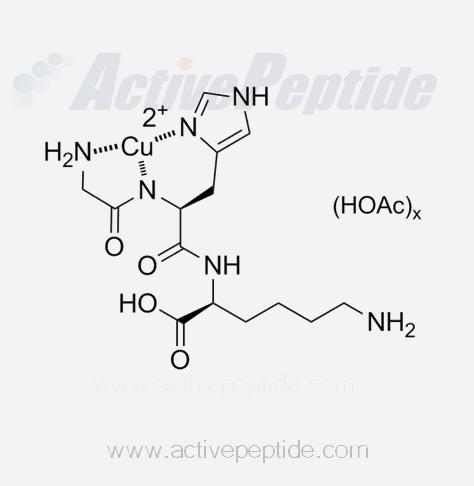 Application: GHK-Cu is widely used in anti-aging cosmetics. Several controlled facial studies confirmed anti-aging, firming and anti-wrinkle activity. This product is pure powder with purity >99%. No excipients, preservatives, anti-oxidants present, or used during the manufacturing process. It is 100% synthesized in laboratory so not involved with plant, vegetable, or marine. It is neither palm derived nor sustainably sourced.